Famous for large, year-round waves for surfers. An amazing place to see the sunset! Great spot to see whales from December to April and August to October. 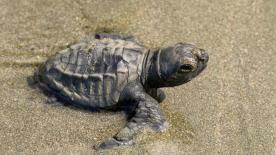 Playa Dominical is a four-mile long brown sand, rocky, uncrowded beach bordered by lush green forests. 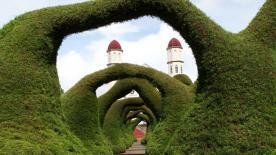 It is a small coastal town about 30 miles south of Manuel Antonio National Park. 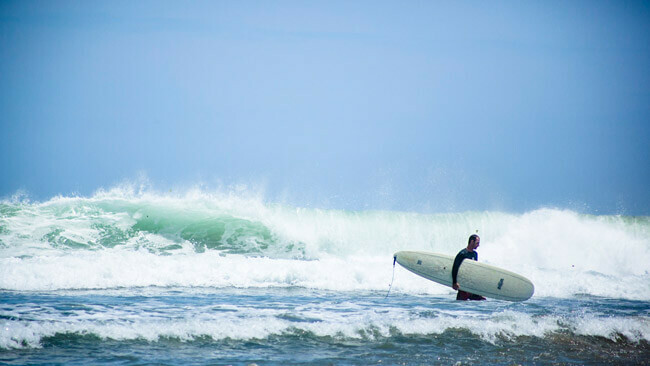 Dominical attracts surfers from not only from across the country, but from all over the world. Tourists are, however, warned that the ocean here is rather rough and is not safe for beginners or novices without a surf instructor. The expert surfers are certain to enjoy the beach, though. Beginners can take lessons from one of the surf camps in the area. Swimming is near impossible and not highly recommended in Playa Dominical area due to the strong currents, but many beaches in the area are suitable for swimming and beginner surfers. Whale watching is another favorite activity. Dominical is about five miles from the Ballena National Marine Park and offers visitors a glimpse of the whales almost nine months of the year. There are some six different types of whales that can be spotted here. Dominical has a lot to offer adventure-loving tourists: horseback riding, hiking, and eco-tours through the nearby reptile preserves are favorite activities. Snorkeling and diving experiences are also offered by some tour agencies. Warm weather, fresh ocean breezes, and delicious seafood are some of the highlights at Dominical beach. Dominical displays an amazing quantity of marine life that can be found under the waves. This beach is a great place to lie back and enjoy the various activities and water sports found around here. It is not only surfing; this is also a place to get away from the crowds, relax, and sunbathe at the beach all day. Enjoy the surf… enjoy the sun… enjoy the views! The best time to visit the area, according to Dominical residents, is in the green season due to the fact that the air is fresher and clearer, thanks to the afternoon rains. 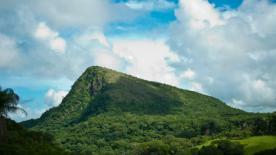 The green season is a time when the rainforest is most lush, but activities will have to be planned around the afternoon showers. The annual 4th of July Sunday Lifeguards Fundraiser is fantastic time to visit, as well.